Some of you may know Tim Grove as the Chief of Education at the National Air and Space Museum or as the History Bytes columnist in History News, but you may not know he started a weekly blog about historic places in April. Through a wide variety of sites, he posts ideas and opinions about interpretation, visitor experience, and historical significance. It’s part travelogue, part museum studies. Most recently he’s discussed the C & O Canal near DC, the Forbidden Drive in Philadelphia, Appomattox Court House, and Fort Mantanzas in Florida. 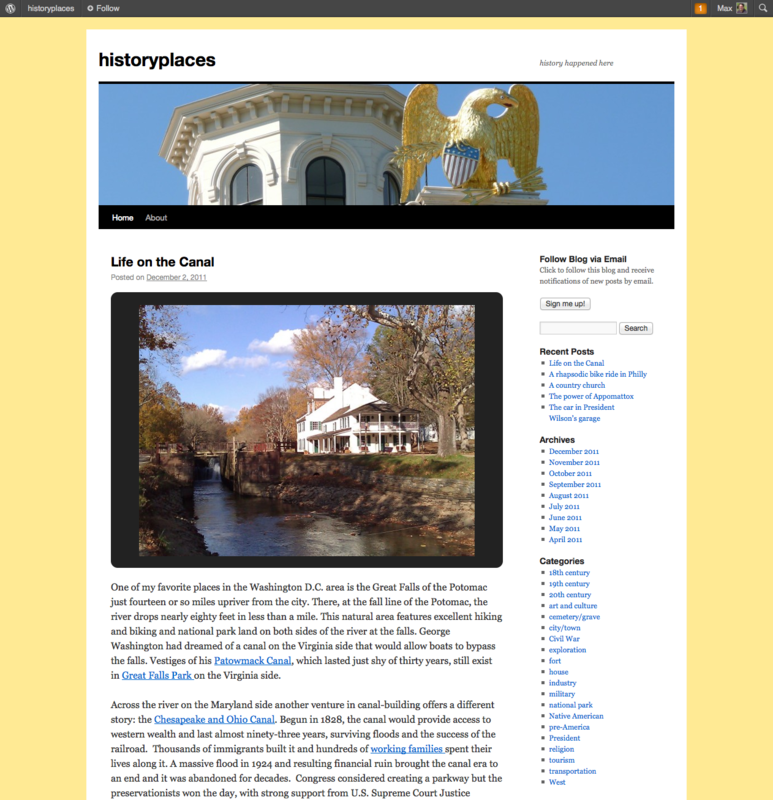 If you’re enthusiastic about historic sites, check out his blog at HistoryPlaces.WordPress.com. This entry was posted in Historic preservation, Historical interpretation, History and tagged Tim Grove on December 6, 2011 by Max van Balgooy.